Welcome to the beautiful Summers Edge rentals in Seagrove Beach! 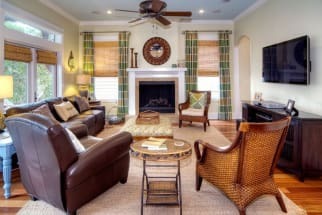 Summers Edge is a popular Gulf Coast vacation rental community just south of Scenic 30A. The community offers easy beach access just steps from some homes and also two community pools (one of which is seasonally heated) for your leisure. You will not be dissapointed by the level of luxury and comfort that comes along with these rental properties! As far as restaurants go, some of the local favorites are 723 Whiskey Bravo, Pizza by the Sea, and the Great Southern Cafe. The area offers endless activities for guests. From long relaxing days on the beach to parasailing and deep sea fishing, you are sure to have an action packed vacation if you choose to. Guests continue to boast about there fun vacations at Summers Edge in Seagrove Beach and we hope you come enjoy your stay here so you can do the same! Plan your next trip to Summers Edge in Seagrove Beach with Emerald Coast By Owner. Browse our selection of Summer's Edge vacation home rentals below. We put you in direct contact with our property owners to assure your vacation is planned perfectly. ECBYO does not charge you any service fees when you book with us, so book online today and save. We hope you enjoy your stay on the Emerald Coast!